A mountain takes you on a very special journey of discovery - adventure guaranteed. Hike to magical places with your eyes wide open and you will be amazed. Find idyllic places to relax and enjoy inner peace, romp around with your children on your family holiday in Austria or put yourself to the test. Either way, you will feel the freedom of the mountains! The atmosphere atop the Graukogel Mountain in Bad Gastein is characterised by the local pine tree population. The calming effect of these trees is beneficial to your heart and your health. Furthermore, the pine trees create a romantic mood around the mountain. 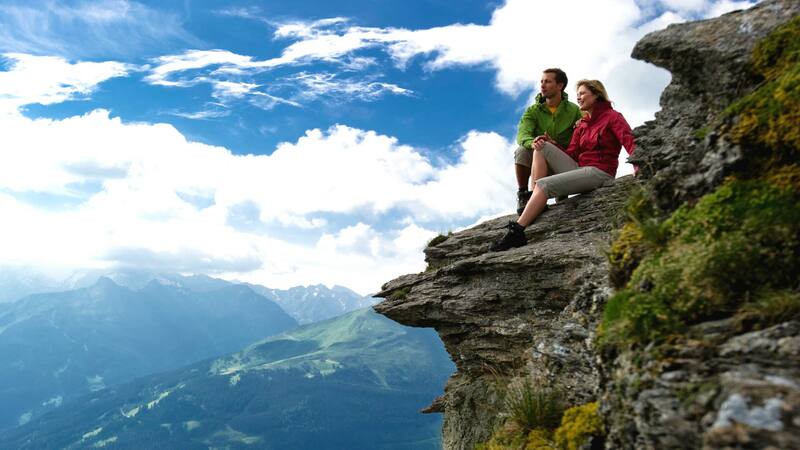 Enjoy a 360-degree view of the surrounding mountain landscape from the top of the Stubnerkogel Mountain in Bad Gastein. You’ll need a bit of courage to cross the 140 m suspension bridge and the cliff-face path. Use your imagination at the Schlossalm Pasture in Bad Hofgastein and discover the hidden silhouettes of animals in the rocks. 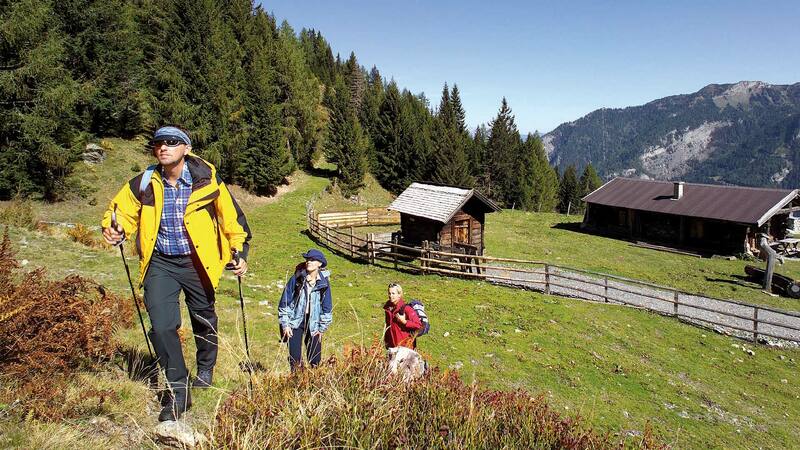 You can discover more about yourself whilst climbing around the Schlossalm Pasture. Both beginners and advanced climbers will find the perfect route here - the difficulty is up to you. The leisure activities at Fulseck are all about wind, water and earth. You can train your sense of balance at the Spiegelsee Lake, by crossing the wobbly pathway. More adventure can be found whilst paragliding, hang gliding or mountain biking. 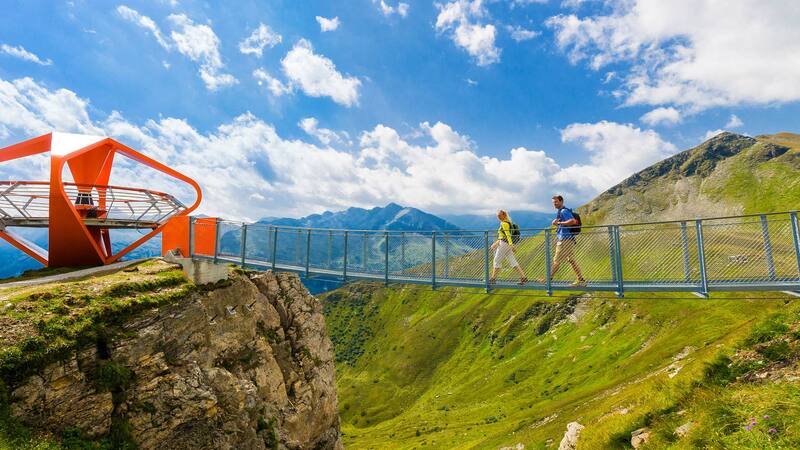 Hikers float between heaven and earth on the 140 m, gently swaying suspension bridge leading from the summit station of the new Stubnerkogel cable car to the village of Sender. Not only will you be fascinated by the construction and the crossing but also by the Right opposite you will see the “Glocknerblick” viewing platform, situated like an eagle’s nest on the mountain. It is constructed mainly of steel and wood; open to all visitors brave enough to venture up there. They are rewarded with a fantastic view of Austria’s highest peak, the Grossglockner Mountain (3,798 m). Strong nerves are also required when crossing the cliff-face pathway, as this see-through track leads through steep, rugged cliff areas up to a viewing platform. Only a wire mesh railing separates adventurous hikers from the deep 30 m abyss below. Open your eyes and your senses to the exciting adventures nature has to offer. There are surprising things to discover here: animal rock creatures. If you look closely, you’ll discover hidden silhouettes in nature - for example a ram or a cow. You’ll feel at one with nature on your family holiday in Austria when you see the beautiful mountain landscape reflected in the lake, whilst walking along the barefoot-path and into the refreshing water. The wobbly pathway crossing the Spiegelsee Lake was newly-built for the summer. Here you are challenged to get to the other side by balancing on swimming islands and footholds. There are plenty of places to relax, with unique seating areas and reclining elements inviting you to linger, rest and feel great.